In a tech world when it comes to design, UI UX design go hand in hand. You can often hear people talking about a good UI of an app or a weak UX design of a website. So what is UX/UI? Just some fancy terms cool designer kids are using? What is the difference between UI ad UX or is it the same thing? And more importantly, what’s in it for you and your business? UX and UI are two areas of design that are often confused. UX stands for ‘User Experience’ and UI means ‘User Interface’. The two terms have been widely used and overused and to an outsider may sound a bit intimidating. Don argues that today the term is being horribly misused. When people say they do UX what they mean is they are designing apps and websites. But what is really UX? It’s not just about ‘pushing pixels’ and making things look pretty. It’s actually everything that has to do with your experience with a product. It doesn’t even have to be you using the product but simply telling someone else about it. #DidYouKnow: The first graphical user interface (GUI) was introduced by Xerox in 1981! UX’s main concern is how the product feels. Whether it’s easy to use and what the overall experience with the product is like. It puts humans in the center to help them, to empower, to make their lives better and easier. And UX designers, when creating a product, speak on behalf of their users, who can’t be in the meeting room when the product is discussed. Designers act as their advocates. They take an issue and explore a way to resolve it in order to create a better interaction experience in the future. The history of UI goes back to the 70s when there was none. Back then in order to use a computer, you had to know its programming language. 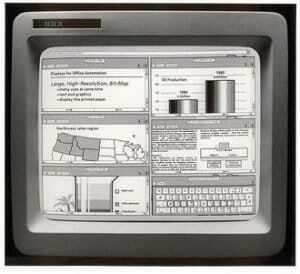 In 1981 Xerox launched Xerox Star that included graphical user interface (GUI). It contained icons, folders, mouse, e-mail and allowed its users to open, move and delete files and it changed everything for humans. But while UX is finding the best solution to a customer problem, to make the whole experience more enjoyable and pleasing, UI is actually about how this experience feels, looks. UI designers are responsible for how the product is laid out, designing of each page or screen the user will land on and interact with. They are making that useful interface that UX designer laid out look aesthetically pleasing.UX is more about cognitive science and sociology while UI is more visual. UI design is often associated with the graphic design or even branding design or even front-end development. There’s no way to say which one is better or more important, UX or UI, the key factor is that it should be done by a professional. You know what is the sign of good UX? There is none. Good design is subtle. A user looks at the product and knows what to do with it and there’s no need for manuals or additional signs. And for a bad UX design, there’s a name – “Norman Doors”. We all came across one. That confusing door that you always seem to get wrong because there’s no way to tell whether you need to push or to pull. “Norman door” means that a design is telling you to do the opposite of what you should be doing. It gives the wrong signal to the user and needs a sign to correct that. Feedback – a signal of what happened. You have to know what happened and why. So the next time you encounter a door you can’t get right, don’t worry, it’s not your fault, it’s bad design. As far as business is concerned, how the product is doing when it comes to sales, marketing, and data gathering determines its value. And that’s when a good UX design comes in handy. It can draw customers, convince them to use your product, become loyal to your brand and even persuade them to buy next versions of your product. Good UI means opportunity when it comes to business as well. Back in 2007, Barack Obama’s campaign was able to raise $ 60 million by experimenting with different pictures and buttons. Simply put, If what you design is making the life of your users more difficult instead of simplifying it, it means people won’t use it. Every person that comes to your website is an opportunity for your business but you’ve got mere seconds to impress them. You’ve got about 0-8 seconds to grab your users’ attention with a catchy headline and compelling landing page. After 8 seconds the majority will leave. By taking a time to understand the exact needs of your customers and creating a good UX design at the initial stage of the development, you can save yourself some time and money throughout the whole project. In his book Software Engineering: A Practitioner’s Approach Robert Pressman makes a convincing case for UX by saying that every dollar you spend on design saves you $10 to $100 in the future. According to Conversion Rate Optimization Report, a structured conversion optimization approach can lead to a larger increase in sales. While Forrester Research study says that a better UI means 200% increase in conversion rates and a throughout UX can lead to a 400% conversion rate increase! Visit pixetic.com to get inspired by clean and simple design. Keep up with the feed! Subscribe to our email newsletter for useful tips, fresh up to date news and valuable resources.